First Solar, Inc. (FSLR) Rallies 12% As It Reports Strong Second Quarter Earnings: Is It A Buy Now? First Solar, Inc. (NASDAQ:FSLR) reported its second quarter financial results on Tuesday. The solar energy solutions provider posted a profit of $95 million or $0.93 per share for the quarter, compared to $0.04 a year ago and to Street’s EPS estimate of $0.49. First Solar’s revenue hit $896 million in the second quarter, $352 million more from the same period in 2014 and $106 million more than the estimate. In this way, the stock gained more than 15% during the morning trading session on Wednesday. First Solar, Inc. (NASDAQ:FSLR) stock advanced by 33% during February but lost some ground by the end of April. Overall the stock went up by 12% year-to-date, including the after hours gain on Tuesday. Many analysts have upgraded the stock and increased their price targets. Notably, Cowen has upgraded the stock to ‘Buy’ from ‘Hold’ rating and raised its price target to $65 from $62, while Baird increased its price target to $69 from $66 for the stock. On the contrary, Needham cut the price target on the stock to $70 from $73. However, let’s see how hedge funds traded this stock and if they were expecting this earnings beat. 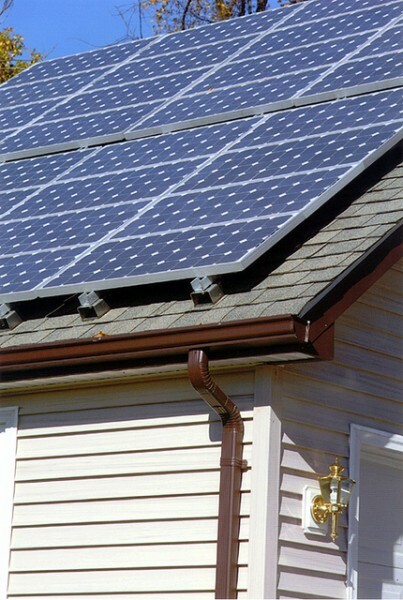 Considering the fact that First Solar, Inc. (NASDAQ:FSLR) has gained around 33% during the January – March period, a 51% increase in aggregate value of hedge fund holdings in the company during the same period indicates that there was a large inflow of capital into the stock during the first quarter. In addition, the number of hedge funds holding a long position also increased to 30 from 26. Most investors don’t understand hedge funds and indicators that are based on hedge fund and insider activity. They ignore hedge funds because of their recent poor performance in the long-running bull market. Our research indicates that hedge funds underperformed because they aren’t 100% long. Hedge fund fees are also very large compared to the returns generated and they reduce the net returns enjoyed (or not) by investors. We uncovered through extensive research that hedge funds’ long positions in small-cap stocks actually greatly outperformed the market from 1999 to 2012, and built a system around this. The 15 most popular small-cap stocks among funds beat the S&P 500 Index by more than 84 percentage points since the end of August 2012 when this system went live, returning a cumulative 123% vs. 58% for the S&P 500 ETF (SPY) (read more details). Likewise, other research (not our own) has shown insider purchases are also effective piggybacking methods for investors that lead to greater returns. That’s why we believe investors should pay attention to what hedge funds and insiders are buying and keep them apprised of this information. Looking at First Solar, Inc. (NASDAQ:FSLR), there was one insider purchase: director Michael Sweeney purchased 4,000 shares in May. However, there were few insider sales too, as CEO James Hughes sold around 15,000 shares in May and President Georges Antoun sold around 8,100 and 9,500 shares in March and July respectively. With all of this in mind, we’re going to take a look at the fresh action surrounding First Solar, Inc. (NASDAQ:FSLR).